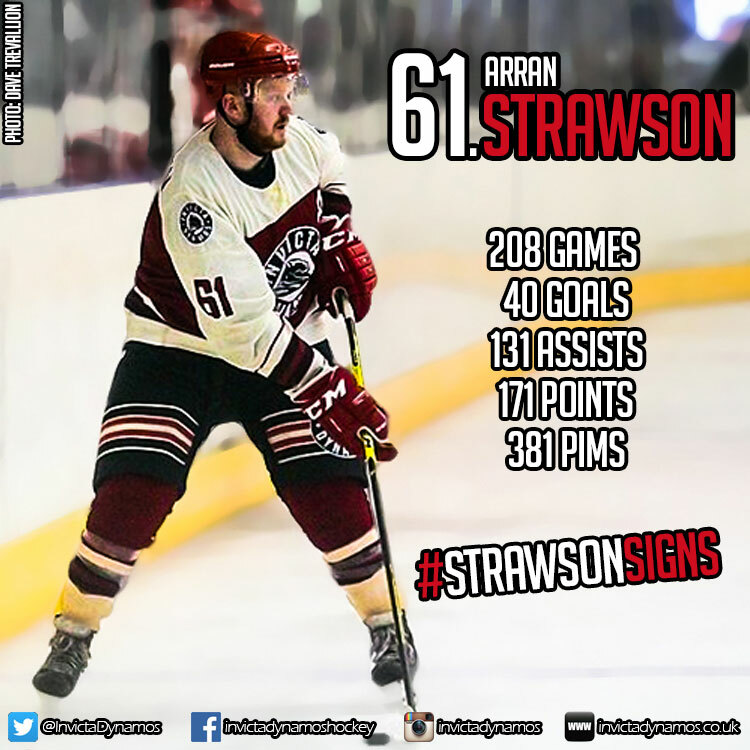 It will be a fifth straight season for Arran Strawson at the Invicta Dynamos in 2016/17 after the blue liner committed his immediate future to the SilverBlades where he has already amassed 171 points for the Mos. It was 2012/13 that Arran Strawson first arrived in Gillingham as Head Coach Kevin Parrish secured his signing from the Wightlink Raiders and the Sheffield born skater has been ever present ever since wearing the Dynamos shirt a total of 208 times to date. Playing from the blue line Strawson has tallied 40 goals and 131 assists for 171 points and 45 of those came in 2015/16 where he was just one of 5 players to feature in all 50 fixtures. Across the league, cups and playoffs the defenceman found the net 14 times to finish as the side’s highest scoring blue liner whilst also contributing 31 assists to complete perhaps his best season in Kent to date. Now he will be hoping to continue that form into the new campaign as he pens a deal that will see him stay with the Dynamos for the duration of 2016/17. Speaking on the re-signing of Arran Strawson, Head Coach Kevin Parrish described him as a big part of his side when he said, “Arran is key part of the Dynamos, he has been since he arrived four seasons ago and I can’t imagine him playing for any other side in the NIHL South. He ticks all the boxes – he’s a solid and experienced defenceman, he’s physical in the hit and will always stick up for his teammates, he has a knack for grabbing vital goals from the blue line and he’s also a great character to have in the changing room. Last season we briefly lost him to the EPL and were delighted when he decided to come back. He has built a relationship with this club and its fans and was always in my plans for 2016/17 so I’m very pleased he has opted to continue his stint here for another term”. 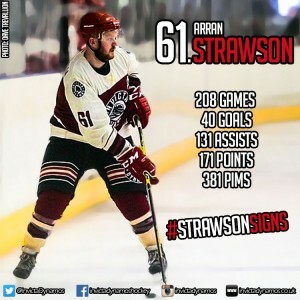 Since arriving at the Dynamos in 2012 Arran Strawson has made the 61 jersey his own and the defenceman will continue to don his favoured number when he returns to action for the side in September. He is the third player to be announced by the club ahead of 2016/17, with netminder Damien King and import Ondrej Zosiak already on the roster, and he will be joined in the coming week by two more as Head Coach Kevin Parrish confirms a new face and another returnee. Stay tuned to the club’s official website, Facebook page, Twitter feed and Instagram to keep up to date with the latest news throughout the summer. 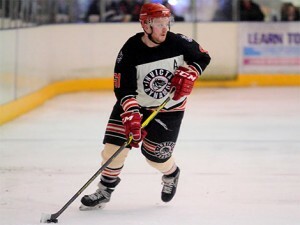 Warm-up Jersey – For just £125 get your name or logo printed on the back of Arran Strawson’s warm-up jersey. Sponsors are then presented with the jersey to keep at the end of the season. Game jerseys – Get your name or logo on the back of Arran Strawson’s game jerseys and become a part of the action.